A Chabad-Lubavitch organization has donated 50,000 matzahs so that every soldier can fulfill Passover mitzvas in the best way. A Chabad-Lubavitch group has donated 50,000 specially-prepared matzas to the IDF in order to allow every single soldier to fulfill the mitzvah (positive command) of eating matzah in the best possible way. The matzahs donated are what are known as shemurah matzah (matza shemurah in Hebrew). 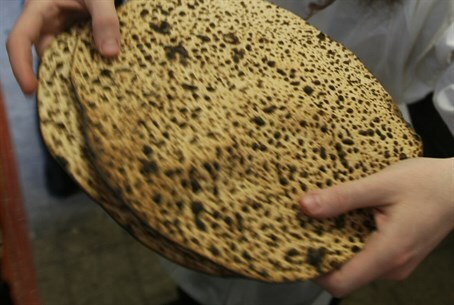 Regular matzahs are made of flour that did not touch water until the baking process, to make sure it did not begin to ferment before that time. Shmura matzahs were protected from fermentation even further. The wheat used to make the flour in the matzahs does not touch water from the point it is reaped. “The Lubavitcher Rebbe wrote to the IDF Rabbinate and asked them to ensure that every IDF soldier, who protects the people of Israel, be able to eat shmura matzah in order to fulfill the mitzvah on the highest level,” explained Menachem Ofen, who was behind the donation project. The Chabad-Lubavitch Chassidic movement is known for its dedication to outreach, and also for its respect for the state of Israel and the IDF.